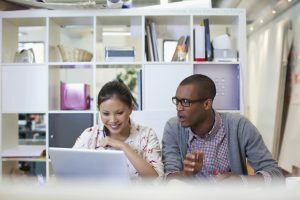 When your organization is working on more than one grant application at a time, it can make it difficult to manage the unique demands each application requires of the grant writer. Luckily, there are some simple ways to stay organized while juggling the different phases of the grant application process. Use these tips to track your grant writing progress. 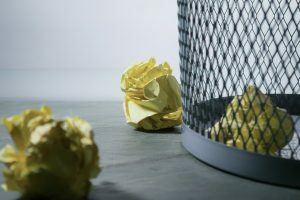 One of the pitfalls many new grant writers encounter is the struggle to find grant funders that align with their organization’s goals and fundraising priorities. Rather than wasting time on search engines looking for funders, consider using a grant database that lets you search based on your organization’s funding priorities. Narrowing your focus will save you a lot of time and energy. Resources such as Foundation Center, GrantStation, and Grants.gov make it possible to manage finding multiple grants that align with your funding needs. Once you’ve identified grants to apply for, make note of the information you’ll need for the application process. To make it easy to organize this data, use the free grant tracking template linked at the end of this post! Missing deadlines on grant applications can mean the difference between receiving funding or being denied. The easiest way to avoid missing deadlines is organizing your grants by their due dates. The template included below allows you to organize your grant opportunities by due date. You can also assign priority numbers if there is more than one grant with a similar due date. Of course, Excel Spreadsheets don’t alert you to approaching deadlines, so you’ll want to set up calendar reminders to avoid accidentally missing deadlines. Okay, so you’ve decided which application to work on. Now what? Make a checklist of that application’s requirements! Make notes on what you need and where you’ll get the information. 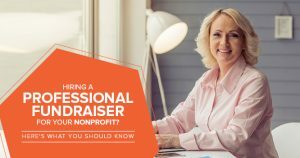 Coordinate with the different departments or co-authoring nonprofits you’re working with to obtain all the information you’ll need to start writing. You may be surprised to learn that writing is the part of the grant application that takes the least amount of time. Researching funders and gathering data for the writing process tends to take up the most time during the grant writing process. When writing the application, pay attention to the funder’s preferences and complete and organize the application according to their instructions. Ask a trusted, knowledgeable colleague to revise your application, get approval from your co-author (if needed), and submit your grant application. Be sure to use your tracking template to keep track of where you are in the submission process. Once you’ve submitted the grant application, take a moment to celebrate your hard work. But don’t rest on your laurels just yet! You’ll want to schedule a date and time to follow up with the funder (if they are open to contact) to check the status of your application. If your application is approved, follow up to thank them for funding your program and inquire about their reporting requirements. Add reporting tasks to your calendar and set up alerts so you’re reporting back on schedule. If your application was not selected for funding, reach out to your contact for feedback. Take careful notes and apply again during the next grant cycle. Hopefully your improved application will get funded in the next round! As promised, here’s the Grant Tracking Template you can use to stay on task when researching and writing grants!